With my management team in town for planning meetings we ended the day with dinner at my usual host site, Italian Village. As is customary, we dined in our usual private room so we could have an intimate working dinner. And. as usual, friend and Wine Director Jared Gelband selected a couple of ideal wines to complement our authentic Italian dinners. Several of the group had the trio of vitello with three different preparations. I had my favorite, Veal Marsala entree with the brown mushroom sauce which is a perfect complement to the Amarone Volpolicella red wine. For our starters and salad course had a Sangiovese based Brunello Di Montalcino from Caprili. 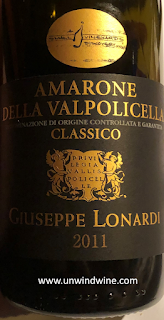 As we moved to the entree course we drank an Amarone della Valpolicella from Giuseppe Lonardi. I asked for a Sangiovese varietal wine which calls for Brunello di Montalcino. Jared served this Caprilli which paired well with our salad and Anitposto courses. Brunello di Montalcino is from the area surrounding the town of Montalcino which is located south of Florence in the Tuscany wine region. Brunello is the designation for wine produced with 100% Sangiovese varietal grape. Since 1980, Brunello di Montalcino has been designated DOCG (Denominazione di Origine Controllata e Garantita) status, which refers to quality controls and guaranteed designation of origin. This is akin to the American AVA with regards to to place of origin, and the French AOC - Appellation Origin Controlee system which regulates quality. DOCG labelled wines are analyzed and tasted by government–licensed personnel before being bottled. To prevent later manipulation, DOCG wine bottles are sealed with a numbered governmental seal across the cap or cork. This was garnet colored, medium bodied, lighter than I expected, slightly astringent with bright acidity, bright red fruits accented by notes of spice, minerals, leather dusty earthiness and hints of smoke with fine tannins on the lingering finish. Corte Lonardi is a small winery located in Marano, in the heart of Valpolicella. The owner, Silvia Lonardi is the daughter of founder and namesake Giuseppe Lonardi whose life was immersed in wine and cuisine, growing up in the vineyards and the family owned tavern. Silvia’s great-grandfather Giuseppe, was a restaurateur, as was her grandfather Aldo. 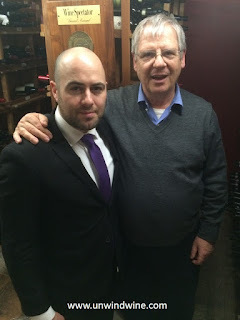 Giuseppe began producing wine in the early 80s with his friend and winemaker Roberto Ferrarini. Today Silvia produces high-quality wines which reveal the terroir of the Valpolicella region and the soil of the Marano hills 1000 feet above sea level above the Marano di Valpolicella valley. Valpolicella is in the province of Verona, within the large Veneto region near Venice in northeastern Italy. 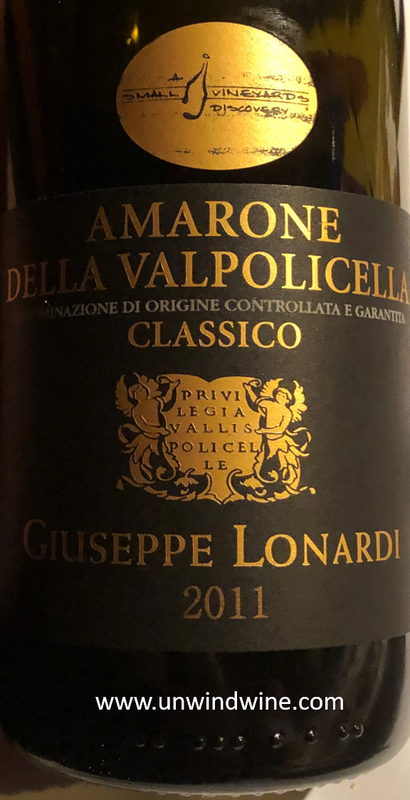 Amarone della Valpolicella, also known as Amarone for short, is a red wine blended from the Corvina (45–95%, of which up to 50% could be substituted with Corvinone), Rondinella (5–30%) and other approved red grape varieties (up to 25%). In Italian, the name Amarone literally means "the Great Bitter" which distinguished it from Recioto and Repasso wines produced in the same region, which tend to lighter and slightly sweeter in taste. What distinguishes Amarone from other wines is that the grapes are partially dried for approximately 90 days before pressing, which results in higher degree of residual sweetness and lower acidity. The resulting wines allows long aging and have a distinctive flavor profile described as full, warm, velvety notes and notes of ripe fruit and woodland tones. Amarones are often consumed ten to fifteen years after harvest. Volpolicella wines are designated DOCG status. This was bright deep garnet colored, full rich concentrated ripe sweet red fruits accented by notes of leather and tobacco leaf with hints of forest on the firm but polished finish.